Whilst I have all the academic qualifications from physiotherapy, I think that it is my acrobatic training that has given me a deeper understanding of human movement in all its forms. If you can combine the science, the creative expression and the enjoyment of movement then I think you‘re definitely on the right track no matter whether you’re using your body for sport, art or work. I believe in an active approach to therapy and believe that client and practitioner need work together to gain best results. I follow a McKenzie therapy approach to treating lower back and neck pain and I find that this is a great framework for teaching clients how to manage their own bodies. I work majority with my hands but also incorporate Dry Needling into my practice. I have an interest in Women’s health, sporting injuries and rehab and love teaching Pilates. Special Interests: Neck, back and hip pain; nerve pain; sporting injuries and chronic conditions of the foot and ankle. As a titled physiotherapist of both the Musculoskeletal and Sports groups of the Australian Physiotherapy Association (APA), I am recognised as a physiotherapist with advanced skills and experience in these fields. I completed an undergraduate degree in Physiotherapy at the University of Sydney in 2005, and I completed a Master of Musculoskeletal and Sports Physiotherapy at Griffith University at the Gold Coast in 2010. I have ten years of clinical experience and have worked specifically with golfers, a Rugby Club and a Netball Club in regional NSW. I utilize a variety of manual therapy techniques to restore normal movement and eliminate pain, and then educate patients in retraining movement patterns with the appropriate exercises to maintain these changes. I see a variety of patients from sports people to office workers, to pregnant women and individuals with complex presentations. 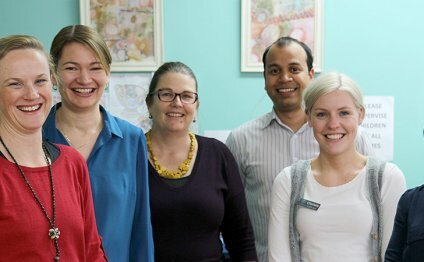 I have been practicing at Active Bodies Physiotherapy for over four years and every day is personally very rewarding. I have been practising as an Acupuncturist/Massage therapist for over 10 years, and in that time living overseas developing my skills as an Allied Health Practitioner. With this I have been working with Disability and care as well as specialising in TCM and S element Acupunctures while. Upon returning to Adelaide, I am passionate about re-establishing my practise, having diversity in my work environment and excited to join the dynamic team at Active Bodies Physiotherapy. Institute of Medicine (IOM), Nepal, located in the capital city-Kathmandu, is the premier medical institution of Nepal.